Wacces fitness products are proven to be the choice of many exercise and fitness lovers. 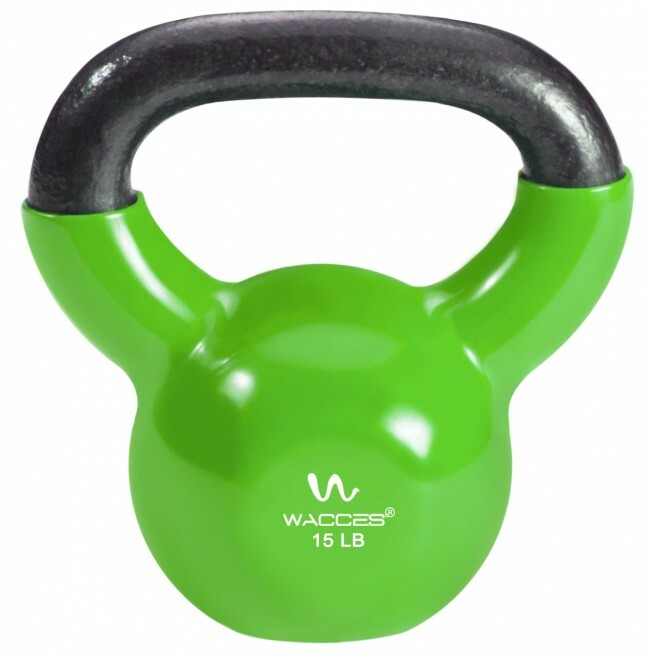 This Wacces Kettlebell is perfect for those house exercises or gym use. The Wacces Kettlebell is perfect tool for building strength and toning your entire body. This solid cast iron kettlebell is constructed as one piece for the ultimate safety and durability. The vinyl-dipped bottom protects your floors from scratches when not in use. Its wide handles are easy to grip as you perform exercises and allow comfortably perform better swings. 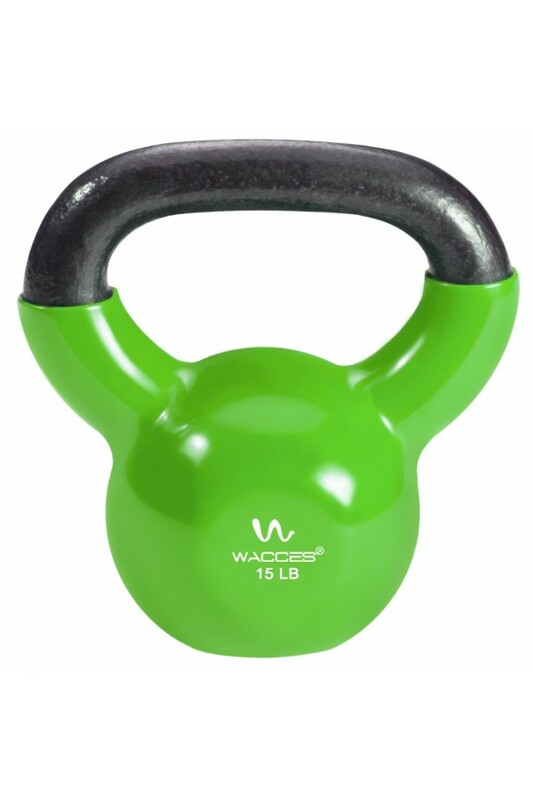 Focus on your strength training and get fit faster with Wacces Kettlebells! Vinyl-dipped for a thick, durable rubberized coating. Extra-wide, textured, sanded and glossed handle for a secure, comfortable grip. Soft shell exterior protects floors and prevents any surface marks when not in useAvailable in different colors and weights. Develops muscular strength, power and endurance while burning calories. Combines function and fun for exciting and efficient workouts. Flat bottom prevents rolling and make weights easily storable. Made from high-grade cast-iron material.